MyYESNetwork.com > Thread > Share your Yankee pics!!! Network Forums Yankees Share your Yankee pics!!! Sticky:	Share your Yankee pics!!! 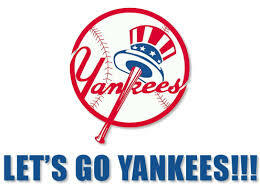 Yankees are back !!!!!!!!!!! Another season of Yankee baseball as pitchers and catchers returns to Tampa. I'll submit pics to chronicle the Yankees' coming season. Please share your images as you attend games from Steinbrenner fields to Yankees Stadium and beyond. For the out of town fans attending games, Me and lots of Yankee fans would love to see images from away games. So as the season is on the way...Go Yankees!!!! New York Yankees pitching coach Dave Eiland, right, watches as starting pitcher CC Sabathia throws in the bullpen on the first day of spring training at Steinbrenner Field in Tampa, Fla., Wednesday, Feb. 17, 2010. Joe Girardi, left, heads to a news conference at the Yankees spring training camp at Steinbrenner Field in Tampa, Fla., Wednesday, Feb. 17, 2010. Joba Chamberlain tips his cap to fans watching from above after throwing in the bullpen at Steinbrenner Field in Tampa, Fla., Wednesday, Feb. 17, 2010. Joba Chamberlain tosses in the bullpen at Steinbrenner Field during spring training in Tampa, Fla., Wednesday, Feb. 17, 2010. As the first official return of our Yankees, fans are already here seeking autographs and Yankee paraphernalia!! fans reach for an autographed baseball during an informal workout at George M. Steinbrenner Field in Tampa, Florida, February 17, 2010.
pitcher Wilkin De La Rosa runs toward the clubhouse during spring training medical exams at George M. Steinbrenner Field in Tampa, Florida, February 17, 2010. Pitchers and catchers reported to camp on Wednesday to have their first scheduled workout on Thursday. Joba Chamberlain, left, reacts after a fan , standing above the bullpen, surprised Chamberlain when he threw a baseball at him to sign on the first day of spring training at Steinbrenner Field in Tampa, Fla. , Wednesday, Feb. 17, 2010. Go Yankees!!! Lets repeat in 2010!!! I'm starving for baseball ... boy do those Yankees look good! Their is something special about a man in uniform, especially pinstriped ones..... Those icy streets and snow covered trees makes me yearn for spring to come quickly!!!!! Joba looks like he just got from a long winters nap.